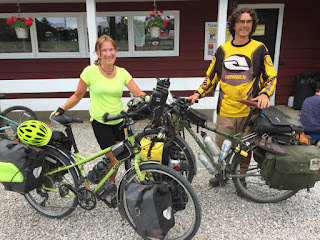 Our latest long-distance bicycle-touring visitors to the Century Cycles store in Peninsula were this pair, who started their trip in Burlington, Vermont. 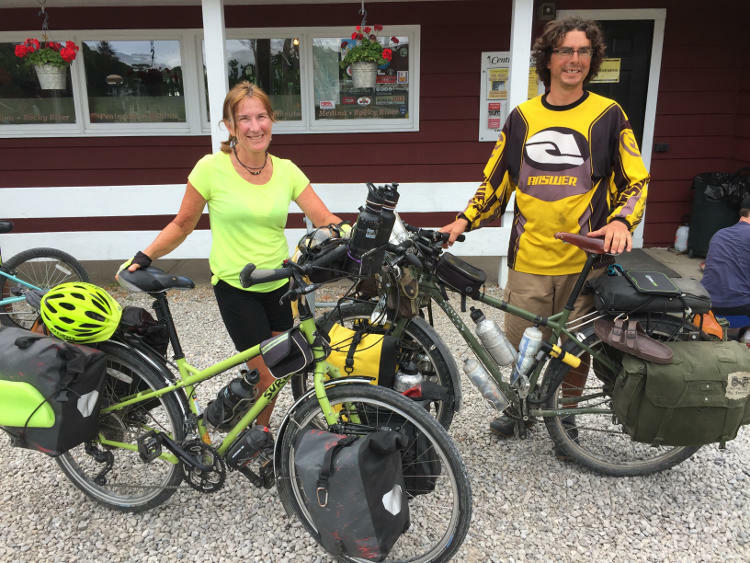 Sylvia and Robert rode down the East Coast, then took the C&O Canal Towpath and Great Allegheny Passage trails from Washington, DC to Pittsburgh. They are now headed west all the way to California. Their bicycles are two mixed-surface touring bike from Surly Bikes, the Troll and the Ogre. You can see more photos of bike touring visitors to all three of our stores in our Bicycle Touring Photo Gallery.